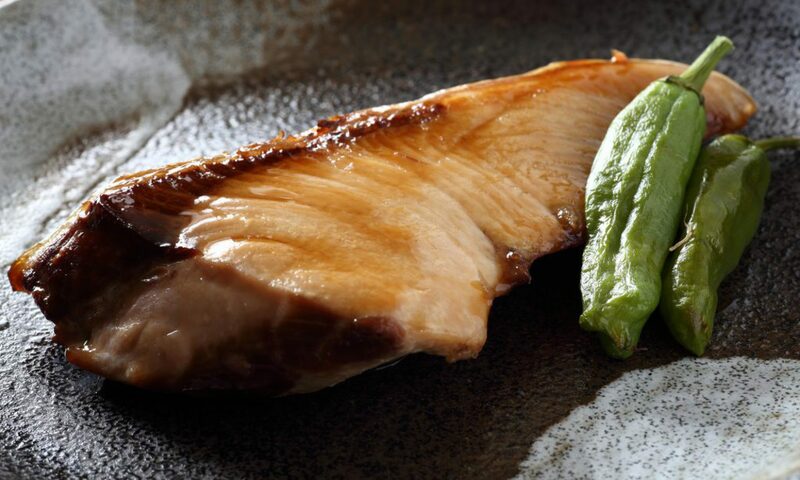 Buri (or Japanese Amberjack) is the endemic fish species in the North Pacific, mainly inhabiting the waters around Japan, and is considered to symbolize Japan. Kindai University’s Fisheries Lab introduced fish preserve culture technology (farming fishes with caged nets) into fish culture where it has now become the mainstream of aquaculture. Buri was the class of fish that was cultured with this new technology at that time. Buri is the fish class loved most in Japan, and it occupies approximately 70% of the total quantity of aqua cultured fish in Japan. It belongs to one of the large sized fish classes and, consequently, has large edible parts. Today, the aqua cultured fish would weigh between 5kg (11lbs) and 7kg (15lbs) with wild buri sometimes weighing over 10kg (22lbs). 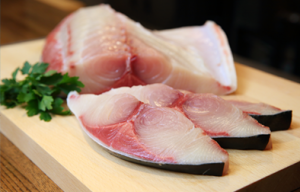 Buri is a high quality fish, particularly in the Kansai area. Its unique ample meat, consisting of whipcord muscle with smooth fat, can be compared to marbled beef. It has a rich, mouth-watering taste (umami). 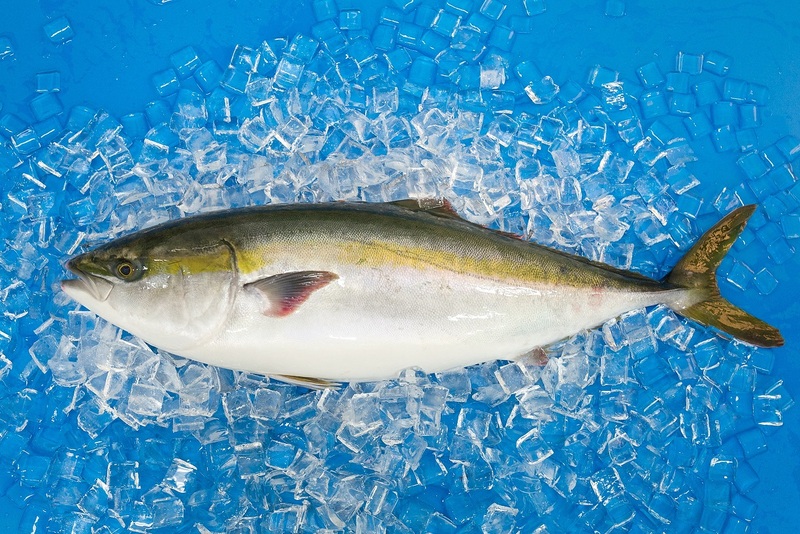 The aquaculture technology has been so successful that Buri can be found in many Sushi shops, and the average price of aqua cultured fish is often higher than wild-caught fish. It can be used both in sushi and sashimi but also baked, broiled and in soups and broth, making it ideal for use in recipes and dishes around the world. General Coliform is negative and the Histamine level is at an undetectable level, meaning 50ppm or less.